California's Great America discounts - Hotels Etc. 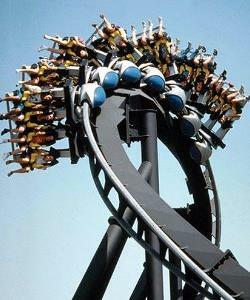 Great America has the most thrill rides in Northern California. Check your fears at the door and get ready for the rides of your life! FireFall: Fall head-over-heels! This thrill ride will take 40 brave riders to a height of 60 feet, then subject them to 360 degree vertical arcs as they twist, turn and spin through both fire and water effects. New for 2010: PLANET SNOOPY! For almost 60 years, Snoopy and the rest of the PEANUTS gang have been inspiring children around the world. With a complete redesign of the Nick Central area California’s Great America is excited to see the smiling faces that Snoopy will bring to the park this season. Also, don’t forget the Great America debut of Snoopy Rocks on Ice!